Countless entities fight on a daily basis for inclusion and prominence in search engine results. Whether you’re a small, local business or a multi-national brand, the need for exposure in search results remains one of the most important aspects to proper marketing. Within each search engine result page (also known as SERP), you’ll be able to see who in a given niche is performing well, what brands are relevant and even the latest news related to those keywords. To help you better optimize your SEO campaigns, let’s look at what elements should be inspected in any and all SERPs you’re targeting. One of the most important elements you can analyze in any particular SERP is the presence of ads and what they entail. When evaluating the content of many different ads already targeting the niches you’re aiming to improve in, you’ll begin to notice a variety of patterns in each element of an ad. Whether this be brands pinging links with a particular URL structure, common keywords and calls to action, title tags or something entirely different, this information can be immensely valuable. With this info in-hand, you can automatically begin deploying ad campaigns in the same niche that are far more effective than they would be if starting from scratch. Not only that, but you’ll also gain valuable insight in how to improve organic content and SEO strategy. Every niche differs in terms of the amount of late-breaking news and non-evergreen content generated. Nevertheless, keeping track of any new news items can be very helpful in improving overall reach. Search engines like Google devote entire sections of each SERP to news and/or information, depending on the topic. It is here that your brand can be prominently featured – if you know when and how to react. This is why consistent analysis of the SERP – along with alerts designed to give you a heads-up whenever something happens – is so crucial in improving SEO. Those who know what they’re doing and take advantage quickly can squeeze into the most desired real estate in a SERP. Depending on your category and target audience, you may have an international, national or local audience. Knowing who exactly you’re targeting can help you further refine SERPs and target only the most relevant. Not only is this good strategy from an effort standpoint, but it also tends to yield the best results. Search engines are increasingly trying to deliver local results to users – especially if they are among the majority who use mobile devices to perform search functions. If you observe a clear trend in a niche with regard to geography, then it may be worth considering how you can incorporate this into your broader strategy. Likewise, pinging links to various, smaller SERPs that are explicitly location-based can help generate new traffic within smaller audiences. 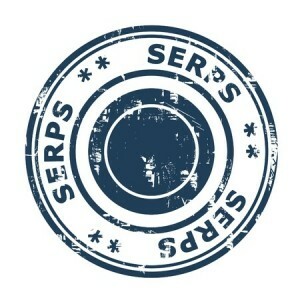 Ultimately, SERP analysis should be complex and attempt to account for every potential variable. Most small brands and businesses do not have this amount of time available, so focusing on the most influential factors is crucial. By examining paid ad campaigns, geographic relevance and potential news within a niche, your brand will be better prepared to rise the ranks and generate promising SEO outcomes.